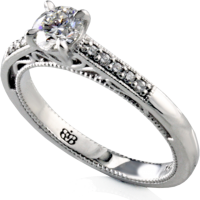 Bakalian inspired Vintage style Engagement ring. 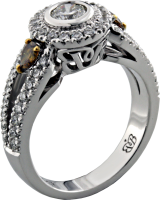 Complemented with shoulder diamonds set in four claw. 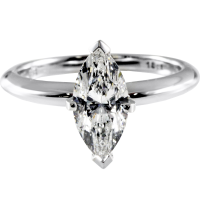 Stunning 1.50ct Marquise Shape Diamond. 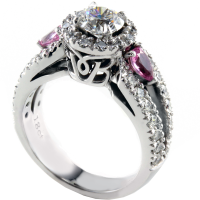 Diamond is held in claw setting to enhance its beauty. 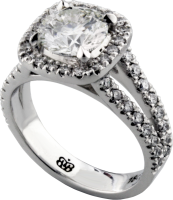 Made to perfection, complemented by 3.00ct diamonds, on Engagement ring. 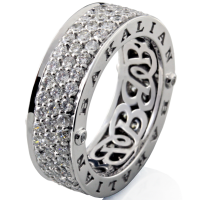 Bakalian pieces ensures that each piece of jewellery is created, with love. 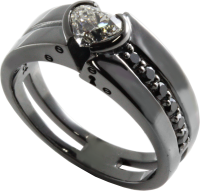 Bakalian Cuff link style Heart diamond ring. 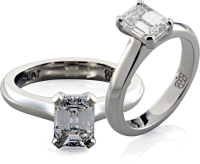 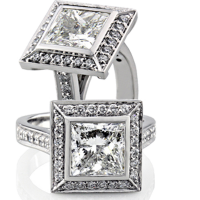 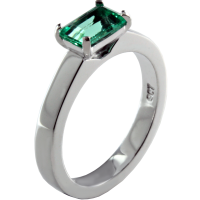 Emerald cut ring set in contemporary style. 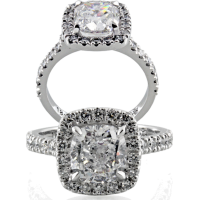 Set with a 1.21ct D Si1 perfectly cut Diamond. 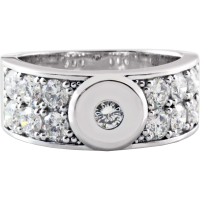 Complemented with 1.00ct brilliant diamonds. 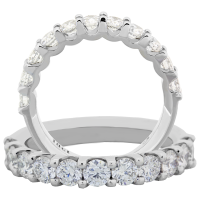 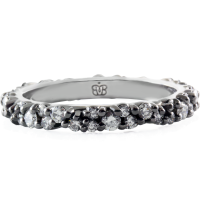 Wedding band set with 0.52ct of diamonds. 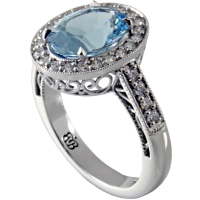 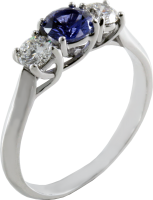 Bakalian Inspired contemporary Engagement ring. 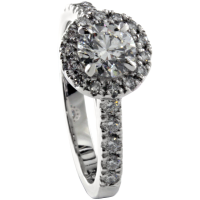 Set with 1.37ct Round D Si1 brilliant cut diamond. 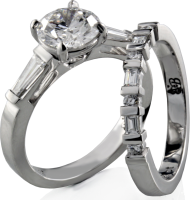 Complemented with shoulder tapered baguette at 0.26ct. 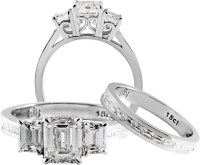 Total weight of diamond including wedding ring 1.88ct. 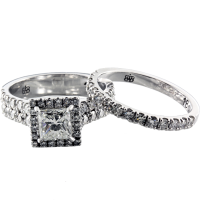 Beautifully set with 2.00ct Cushion cut Diamond. 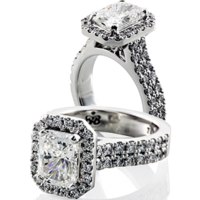 Using D Si1 cushion shape diamond. 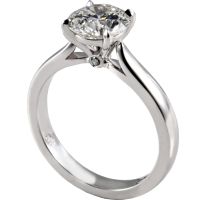 Beautifully set with a 1.00ct Pear shape. 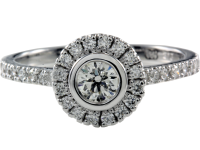 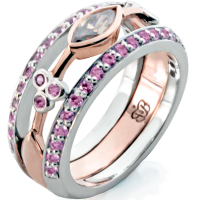 complemented with 0.50ct brilliant diamonds.